St James's Church welcomes couples who wish to discuss getting married or having a marriage blessing in our church. Besides meeting individually with a member of the clergy, couples might be invited to meet together to share common experiences and learn from one another. 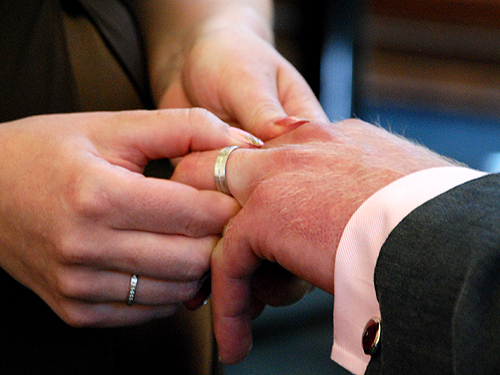 Have a look at the Church of England's marriage pages to see if you have a Qualifying Connection enabling you to be married at St James's. Please then contact the office to discuss marriage at St James's. Our beautiful building and facilities will make your special day particularly memorable. A wedding is a great and very public moment in life – joyous, but also solemn as two people pledge to be with one another until the end of their lives. In a wedding service there is a ritual of separation as bride and groom enter with their supporters, but are left alone with the minister to make their vows. They then leave the church together having journeyed together from being two single people to being a married couple. At St James's the couple walk the length of the church at the end of the service – their journey continues as they head out through their families and friends and out of the door, into the world. Briefly they have separated from that world, and now return to it in a new way. Just as in baptism we have the visible sign of water with spoken words so in marriage we have the visible sign of joined hands with spoken words. A ring or rings worn on a particular finger is further physical evidence of a new life that has begun. 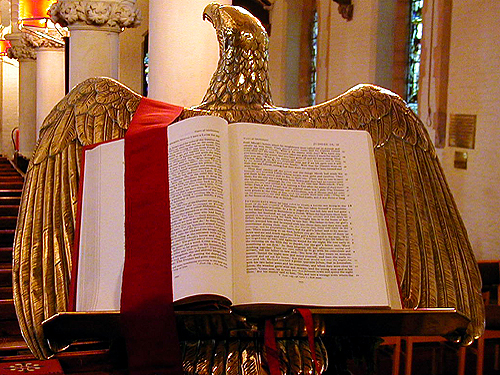 During the marriage there is an opportunity for one or two short readings from the Bible. You might find it helpful, therefore, to consider this selection of Biblical passages although, of course, there may be another scriptural extract which you prefer. 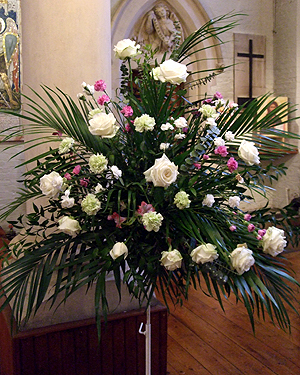 You are welcome to organise your own flowers, but will need to liaise with the church office to arrange access. If you need further information, please contact the office. See more Wedding flowers to get ideas for your wedding. Several months before your wedding, the clergyperson who will be officiating will contact you to arrange a time to meet with you to discuss the service. This discussion will include your choice of music or you could speak to the organist. 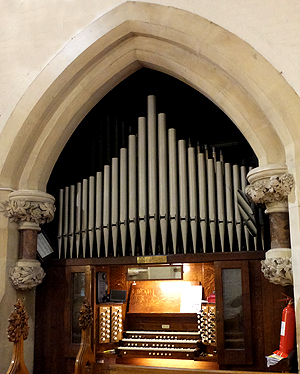 If you have no preferences, the organist will be happy to select music best suited to the organ of St James’s Church. Contact the organist. A deposit of £100 is payable when the wedding is initially booked. The final amount should be paid no later than two weeks before the wedding. An invoice will be sent to you, detailing the final balance due. You may pay in cash in person, or cheques should be made payable to St James's Church PCC.